Audi's all-new RS 5 Coupe is a high-performance grand touring 2-door boasting 444-horsepower and a comprehensive list of technology tasked with putting that prodigious power to the ground. While the RS 5 raises the performance bar to new levels, it also papers occupants within one of the best appointed, most luxurious and innovative, passenger cabins on the market today. 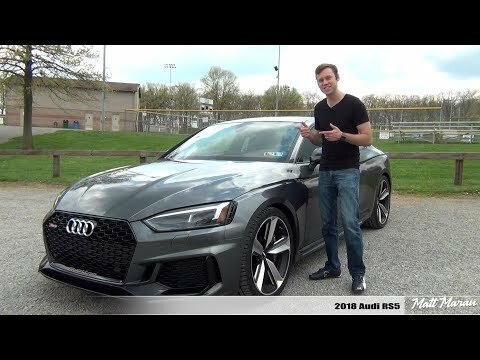 Review: 2018 Audi RS5 - Luxurious Backroads Beast! 2018 Audi RS 5 Launch Control Review: Everything You Ever Wanted to Know!